Everyone knows YouTube influencers are flexing the power of their actionable audiences in a number of markets. A new report from Carat Global chief strategy officer, Sanjay Nazerali, YouTube, and Nielsen, however, reveals that these influencers have an even wider (wait for it….) influence than you’d think. 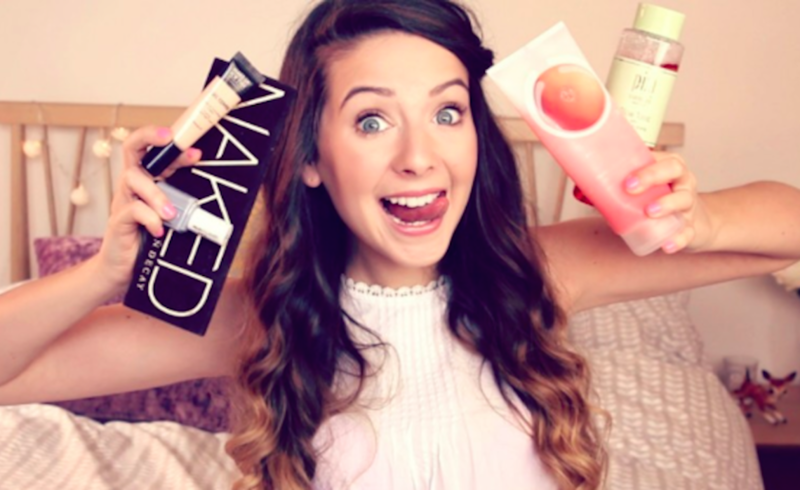 Nazerali’s study found 86% of the 200 most watched beauty videos on YouTube come from creators (and not brands). But that finding isn’t necessarily representative of influencers’ far-reaching appeal. A finding that is details how YouTube influencers up consumers’ purchase intent in a number of product categories beyond beauty, including snacks, toys, cars, and even alcohol. Though YouTube influencers themselves (and especially their audiences) skew younger, many of them are successfully marketing adult products. This follows a 2015 report by Google’s former head of YouTube ads product marketing, David Mogensen, which said 69% of YouTube users were influenced by product reviews and other auto videos on the platform in their car buying journeys. The latest report also compared YouTube influencers to “traditional” celebrities. While the former don’t achieve the same metrics as celebrities do when it comes to brand recall, YouTube influencers are better at increasing a brand’s familiarity among consumers. The difference between the two is, as Nazerali points out, consumers’ ability to recognize a brand versus actually wanting to/knowing how to use the brand’s products. YouTube influencers incorporate products into their content in active (aka “authentic”) ways, whereas traditional celebrities tend to just offer endorsements. Ultimately, YouTube influencers’ impact on marketing is important to pay attention to because the next generation is picking up on their branded content. Gen Z engages more with both brands and influencers on social media than do millennials, according to a Fullscreen study conducted during March 2017. Gen Z members are also more likely to like and share branded content. Believe it or not, some of Gen Z can already drink alcohol and even more can drive. From that vantage point, YouTube influencers’ impact on their audiences’ adult spending habits shouldn’t be surprising at all.